We have many bloggers around us who actually made a lot of money with their blogs. But as a beginner and having only 10-15 posts in blog, no one can make his living by this tiny little thing and I suggest you to do not even thinking of it. Here Google Adsense comes and makes us dreaming about earning a lot of money without giving much effort. Actually Adsense is not liable for that, there are some confused people who confuse others about adsense and tell them a thrilling story on how he made $1000 by adsense without doing anything. LOL!! I think there should be more than 1 billion billionaires if money comes truly in these way. BTW, Making $500+ in a month isn’t that harder if your blog has 20-25 well written posts which drive reasonable traffic regularly in your blog. You got the traffic but not adsense, no problem! If you are disapproved or banned by Google Adsense, its not the end of your blogging career. Hasn’t apply for adsense yet? Still you can made some real bucks before reaching all requirements for applying on adsense. Find out everything about Google Adsense in this Beginners Guide For Google Adsense. After disapproved by adsense I was searching for other monetization options that available and similar to adsense. I research with all that ways which mentioned by other bloggers in my community. But I got a few that actually worked for me, Google Adsense is still the highest paying ad network around the world. 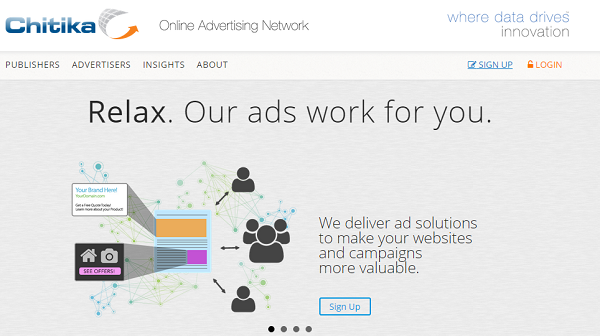 Though, We also have some ad networks who actually paying as well as adsense. Update: RevenueHits is one the best Ad serving network who ensure the higher eCPM rate. You need to wait at least 10-12 days after placing the ads on your site to get the highest eCPM rate. Every ad network has their own algorithm to set the eCPM for you and the first 10-12 days are the testing period when they actually test your traffic to set the highest converting ads for your site’s traffic. Lets Sign up for RevenueHits. Infolinks is the best alternative of adsense. This site is trustworthy and quiet high paying as like adsense. The best part about infolinks is, you can use this ad network safely with adsense. Infolinks serve text based and in page pop up based ads, so it is quiet safe to use along with adsense (Google adsense doesn’t allow other banner ads in same page which already serving Google ads. If you are already approved by adsense and serving their ads than adding other ad network seems to be suicide, because adsense will ban your account sooner or later). Infolinks currently have 6 types of ad, they are In-text, In-Frame, In-Fold, In-Tag, In-Screen, In-Article. I personally got In-Text ads most effective than others. In-text and In-Tag ads are contextual. Getting approval in Infolinks is quiet easy. Because they don’t have any strict rules in their terms and condition like adsense. They are paying through below options and payout takes no longer than 45 days to reach. I got Infolinks as a best Google adsense alternative. Media.net is another good alternative of adsense. Media.net actually owned by yahoo and bing, and this ad network is highly contextual. Media.net’s ads are customizable for enhanced user experience and also they are responsive to fit in any screen. 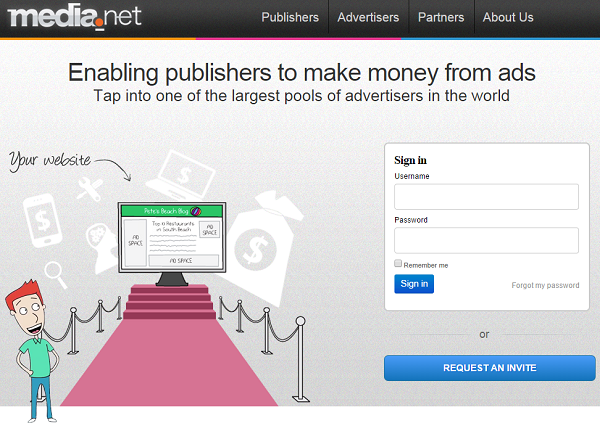 Media.net provide high quality ads by connecting you with all giant ad serving networks. Chitika is another way to monetize your blog in absence of adsense. 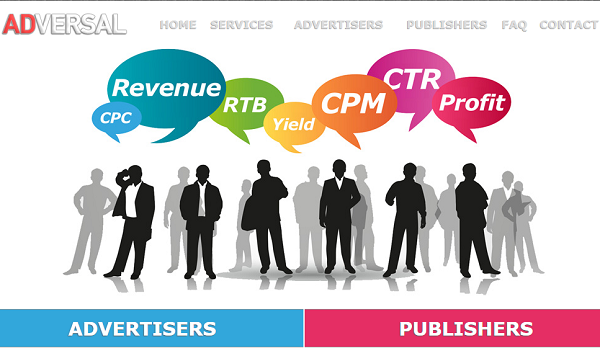 This ad network is really high paying and have a real good trusteeship in ad industry. They are paying through Paypal and wire transfer. Adversal is an well known and well established ad network which can be a good alternative of Google Adsense. Adversal has high CTR but they don’t accept all sites. There are a requirement of having at least 50k pageviews per month to able to serve Adversal ads. Adversal paying based on NET35 rule, means every payment sent on 35 days later than end of the month. Minimum payout is only $20. VigLink can be a best Alternative for adsense. Viglink has a quiet different system than others. They’ll actually turn your blogs external links into affiliate links and if some people made purchase through your blogs link then you’ll get paid with commission. This is an interesting way to makes money using viglink. 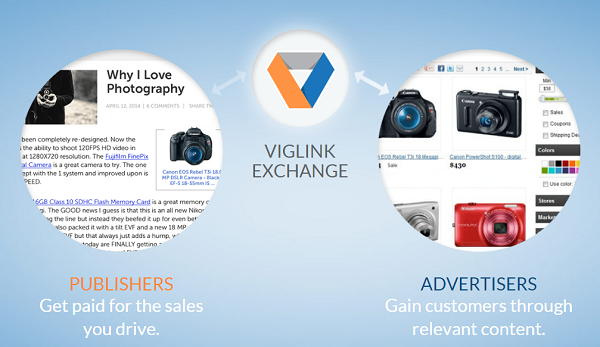 If you choose viglink as your adsense alternative than you should posts some review articles on various paid products. That way you can drive some traffic through your affiliate link that are actually willing buy products online. After all, you have to find out the working way for all kind of monetization options. 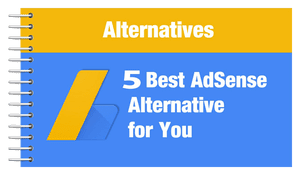 I provide you 5 sites that can be the super alternative of Google Adsense. But all you need to do is doing some research with all of those options. And find out which one works better in your niche. I strongly recommend Infolinks, because I personally test this site and got better results than any other ad network. Earning by blogging is not an easy fizzy work, so don’t lose your hope, keep your passion up and you’ll be rewarded soon or later.